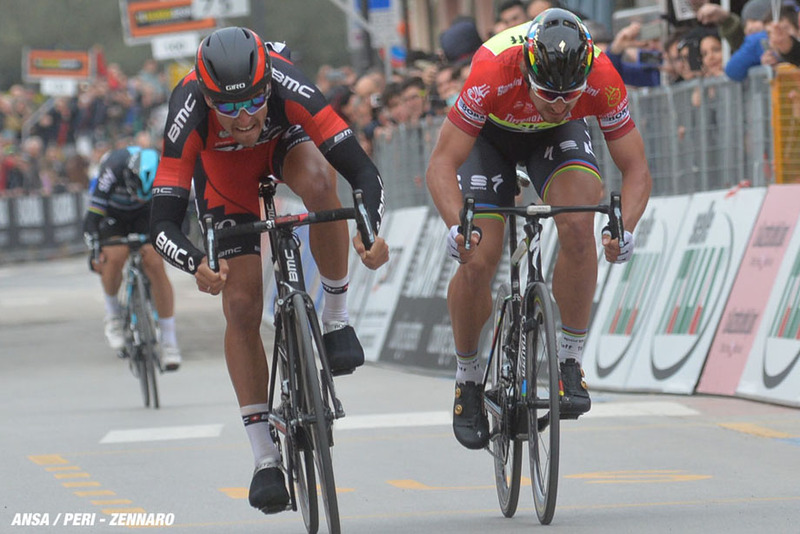 Race Preview: You know the season has started properly when the pro peloton lines up in Milan to make the very long journey to the coast and the finish line in Sanremo. 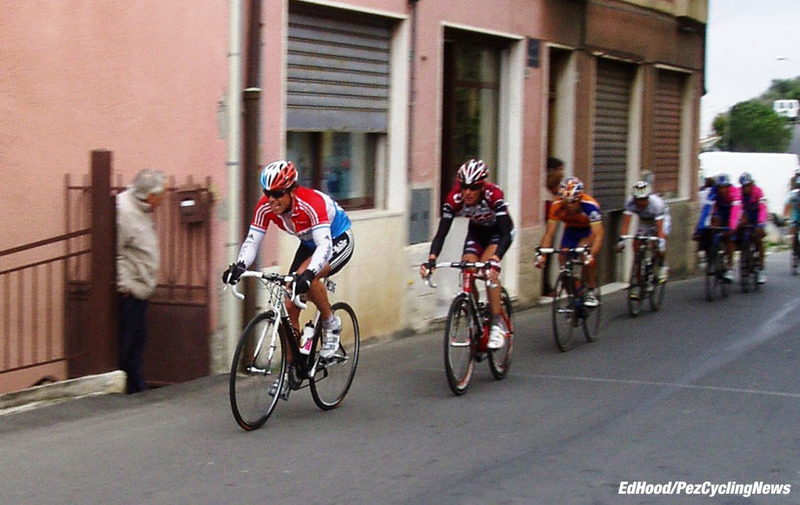 This Saturday the top classic riders will battle it out in the first big appointment of the season; Ed Hood gives us the benefit of his experience in 'la Classicissima di Primavera' and points us towards the possible winners. 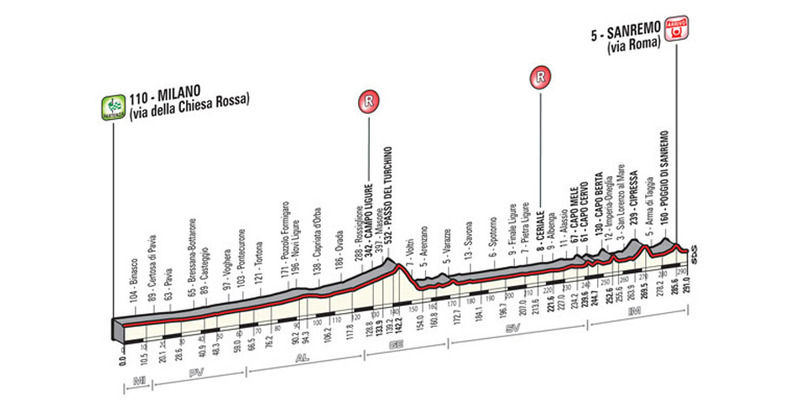 Milano-Sanremo, the ‘Classicissima,’ Classic of Classics. It’s too long, it’s too boring, it’s an anachronism, it’s a lottery. . .
For sure but just about every Italian professional values winning this race above any other – and I include the Giro and Worlds. Win this and you’re Legend; Dancelli, Gimondi, Saronni, Moser, Bugno, Chiapucchi – your name goes on that roll, forever. I’ve been lucky enough to cover the race several times; join me as grey Milano gives way to the plains, the Turchino, the coast road and eventually, the City of Flowers. 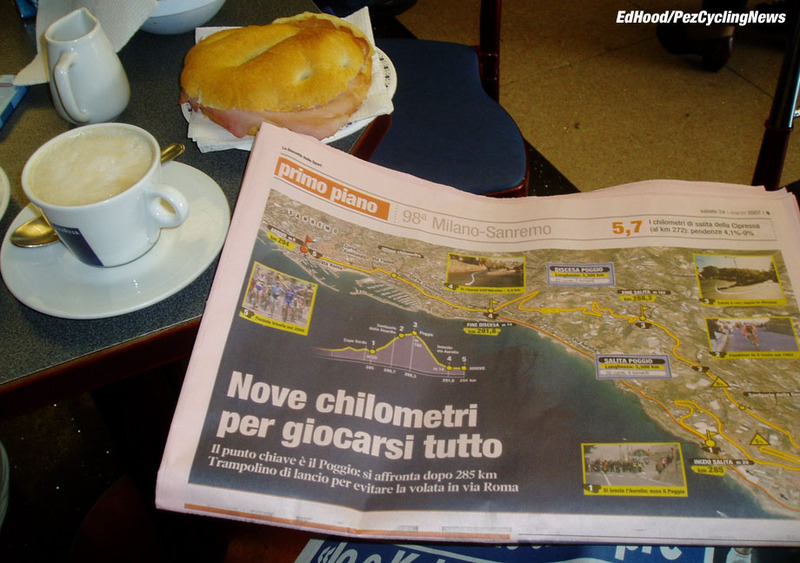 This time you’re not waiting on the video link going live, wishing you had a Gazzetta and a proper coffee – you’re there, on the ground, La Bella Italia and the world’s most beautiful bike race awaits. 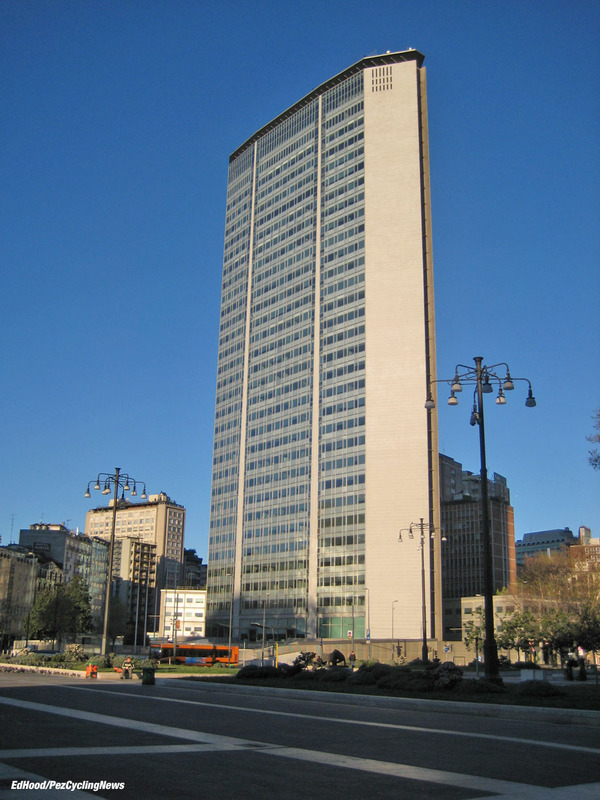 Milano, the power house of Italy, design capital of the world – with the Pirelli Tower still looking amazing despite having been completed in 1958. Everywhere there are architectural reminders that this is one of the world’s great cities. 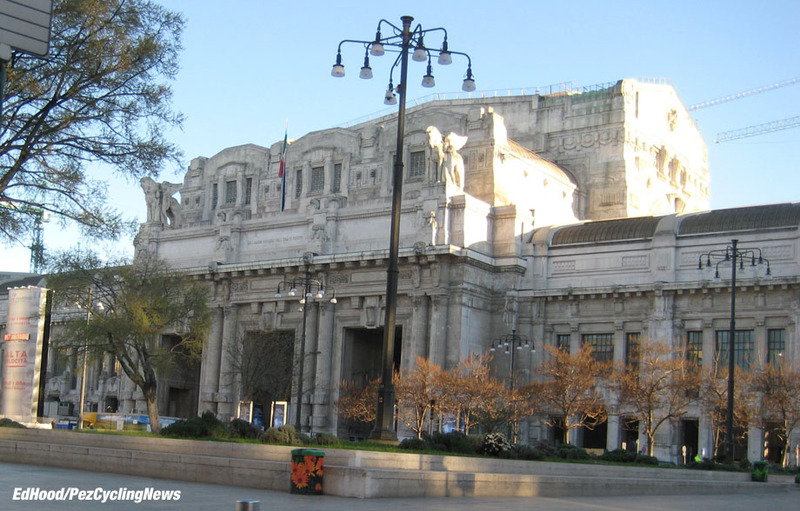 The railway station is courtesy of Benito Mussolini’s dream that it ‘should represent the power of the Fascist State’ – monumental in scale it gives arrival by train in Milano a real sense of occasion. And if you look carefully, high on the internal walls to the rear of the station, ‘Il Duce’ still sits astride a white horse. . . 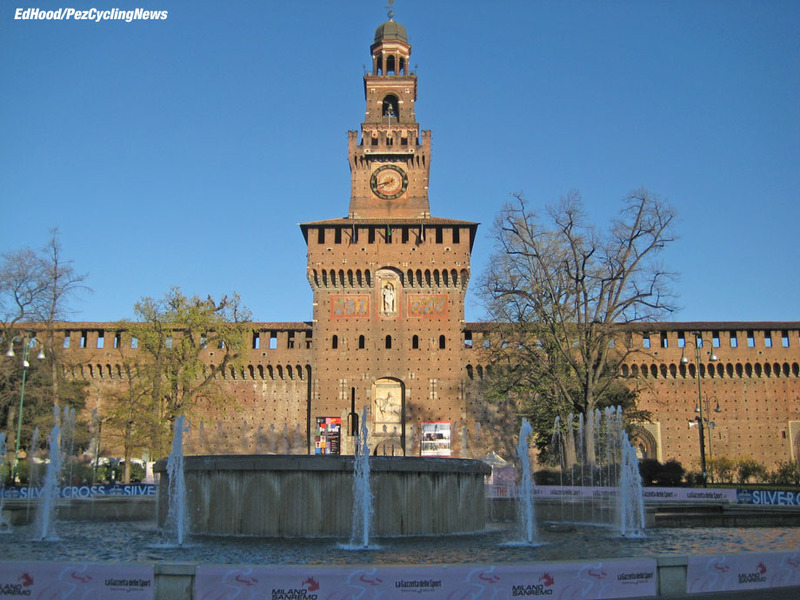 But the backdrop for the Primavera partenza goes back much further than the 1930’s of the station; the Castello’s origins go back to around 1360. 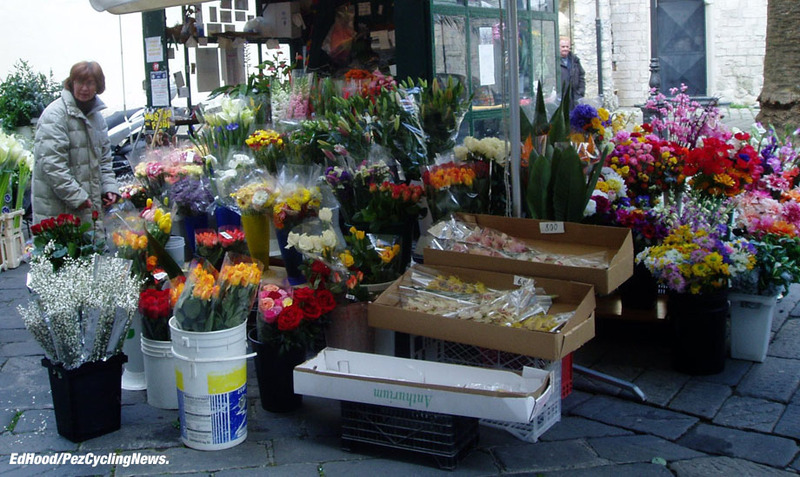 There’s a cafe on the corner opposite the Castello which purveys magnificent cappuccino – it’s the place to see and be seen before the start. 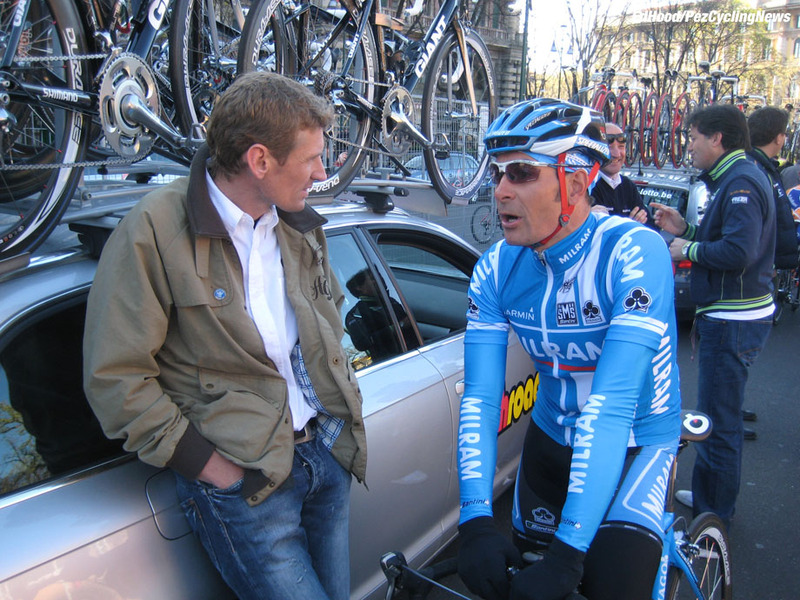 One of the years I was at the start, the season prior to the Sky launch, Dave Brailsford was in deep conversation with Ernesto Colnago in the corner – but as we all now know it was Pinarello who eventually got that gig. . . If you’re an autograph hunter or photog on the lookout for good images, the start is the place to be. Andrea and Pietro from Saunier Duval were my hosts for the day; just a pity I don’t speak Italian – and you only think you can drive until you sit beside a man like Pietro. Just as you’ve read in the magazines, nothing much happens on the long haul across the plains, the break goes, the early mist clears and there are lots of comfort breaks. Things click up a notch as the peloton winds through the cleft in the coastal hills which is the Turchino Pass. 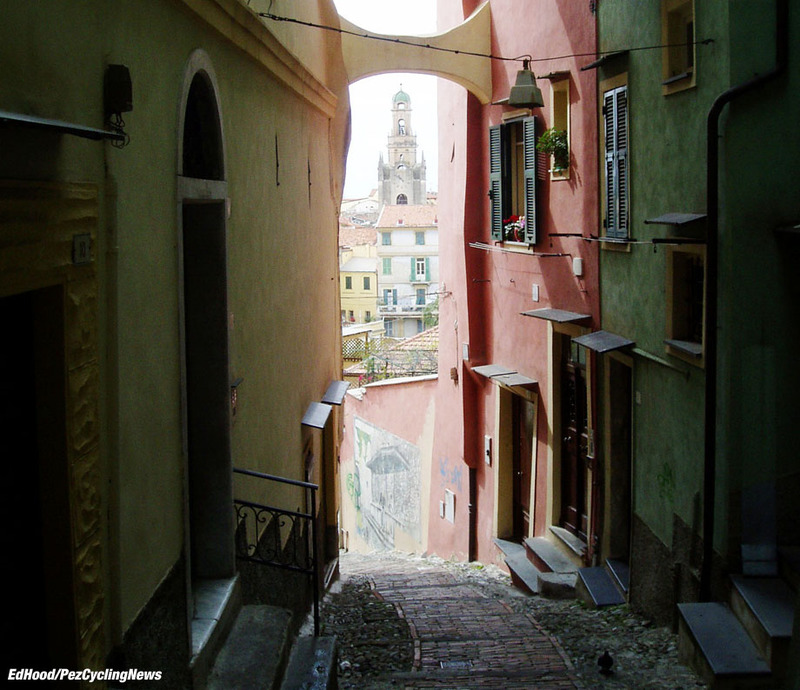 The sight of the Sea acts as a spur to the peloton and the speed cranks up as the race skirts Genoa and heads west along the Ligurian Riviera. As a consequence, riders begin to ‘boil up’ and there’s a mass disrobing with riders thrusting all manner of clothing in through car windows. That year the La Manie climb was on the agenda – coming soon after the Turchino descent it was a brutal straight up off the coast road then back down again job. 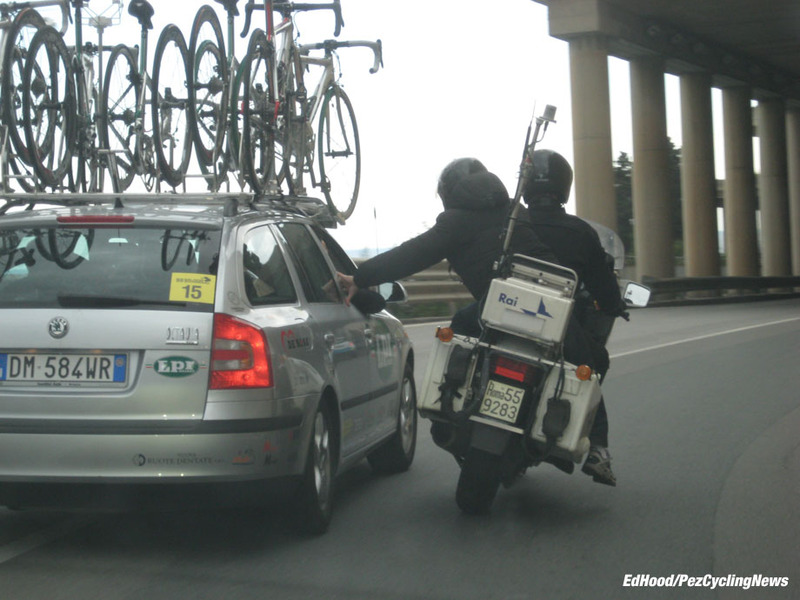 It was fatal for the early break; you can’t tap a steady rhythm out on that beast – as Cav discovered a year or two later. Back to the coast road despite the speed and sheer madness of it all the radio motorbikes still need their interviews. . .
What you don’t get a sense of watching the race on TV is that it’s not ‘turbine smooth’ flash along the coast more a series of huge surges – there’s only one place to be and that’s the front. 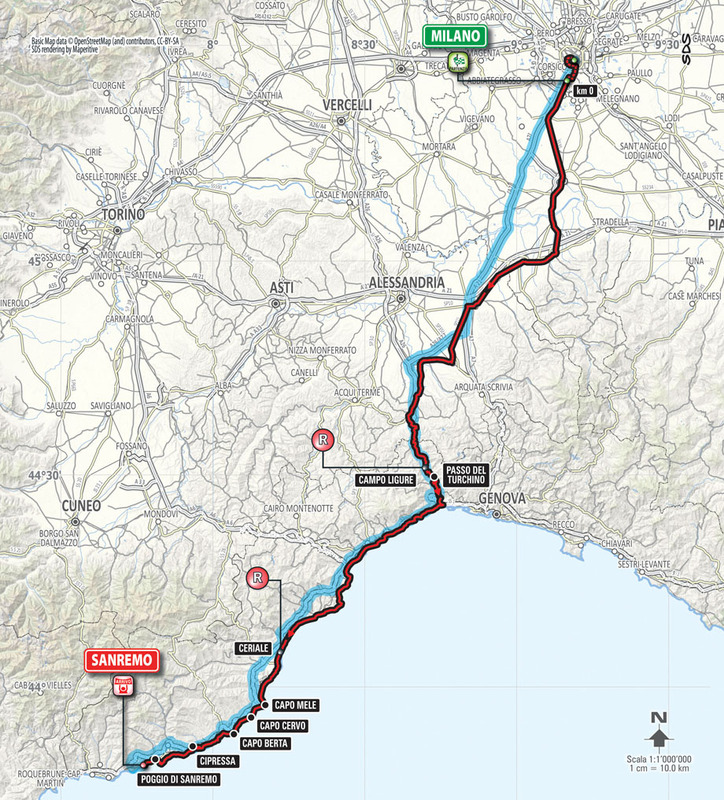 The ‘Capi’ – small coastal hills - Mele, Cervo and Berta aren’t killers, just drags really but the distance and speed begin to bite – most races have already finished when you hit the Mele at 240K. 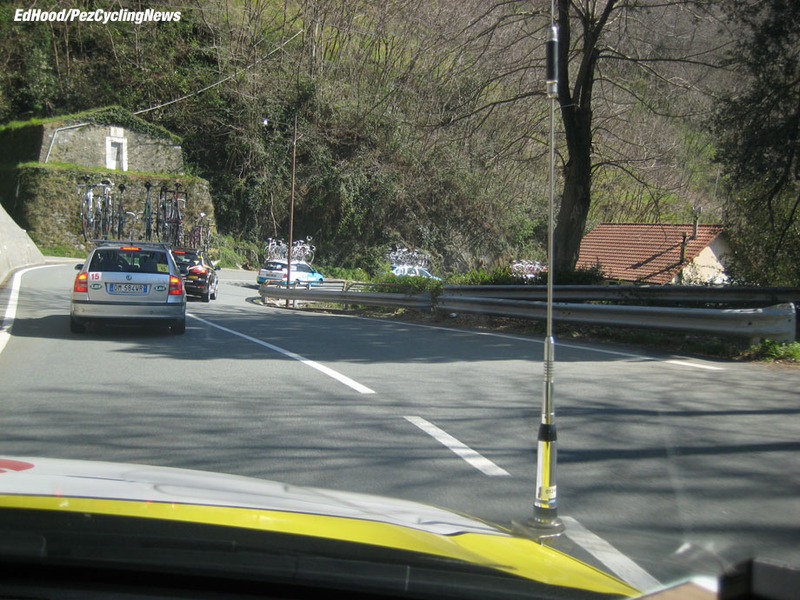 In the team car, it’s ‘live the dream’ time – there you are in the helicopter shots bowling along that coast road. 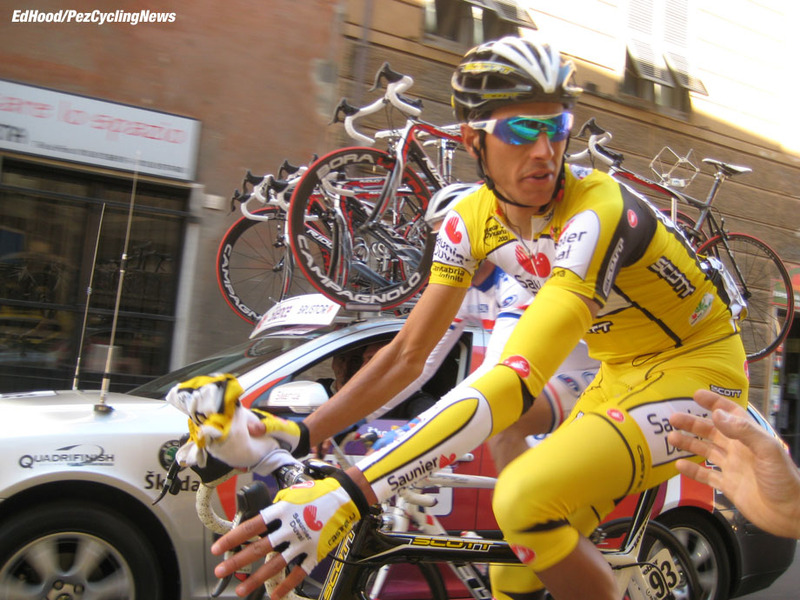 The Cipressa is no drag, it’s a sticky ‘proper’ climb and saw off Cipollini a time or two before that day in 2002 when Super Mario finally viewed the bell tower at the top from the safety of the peloton. 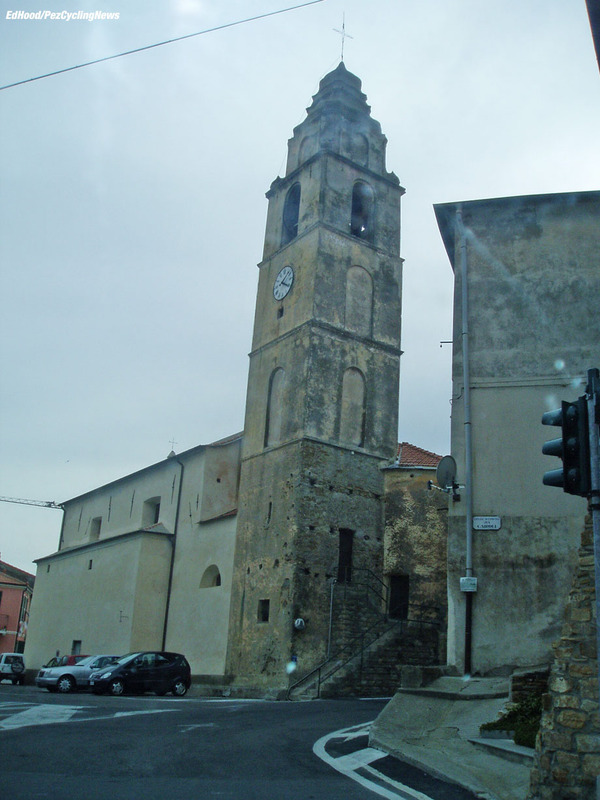 The good thing about The Poggio is that the top is the top – no messing with false flats as the road hangs tight left and you’re on the famous, mad drop. The buzz up there is good for hours before the race starts. 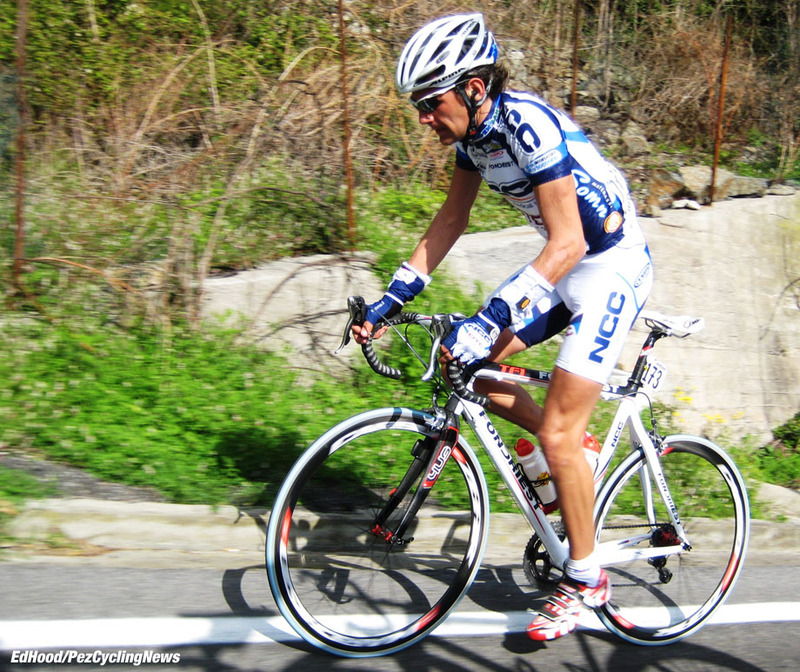 In 2007 it was ‘Grim Kim’ Kirchen first over the top – but it would be Oscar Freire first across the line down in Sanremo. The descent reminds you that this is indeed the ‘City of Flowers’ with glass houses everywhere – not that the riders will take their eyes off that mad ribbon of tar, even for a second. 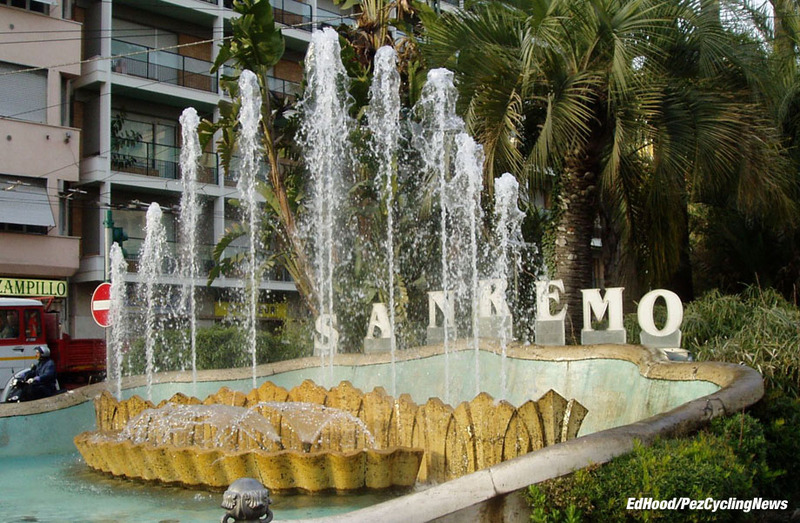 The famous fountain marks the end of the Via Roma - the arrivo; the legendary street was off the percorso for a while and we’re glad to have it back. It’s narrower than it looks on TV, rises slightly and has savage cambers – that’s why the winner always comes up the middle. 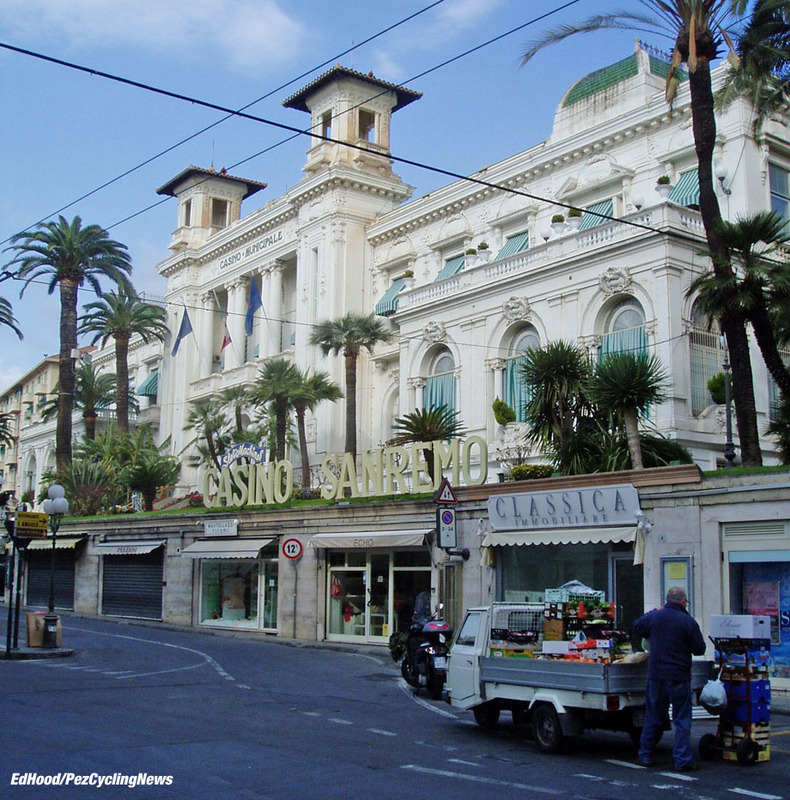 The riders will be out of Sanremo and headed for Nice Airport within the hour – but it’s a cool town to linger in and those flower stalls and interesting back alleys everywhere make it all the nicer. Down at the casino meanwhile, the beat goes on – the tanned middle aged playboys lay their chips down and there’s the jazz festival to look forward to. . .
0: number of North American winners; closest have been Lemond in '86 and Rodriguez in '02. 7: record number of wins in the event by Eddy Merckx. 16: number of wins by riders debuting in the race - last was Cavendish in 2009. 20: age of youngest winner: Ugo Agostini in 1914 (Merckx also won at 20 but was slightly older than Agostini). 36: age of oldest winner; Andre Tchmil in 1999. 45.806: speed in kph of fastest ever Primavera; Bugno in 1990. 50: number of Italian winners (Belgium second on 20). 300: number of kilometers pedaled if neutralized zone included. 1907: year of first race; Lucien Petit-Breton (France & Peugeot) wins. 1960: Poggio introduced into percorso to make it harder for sprinters. 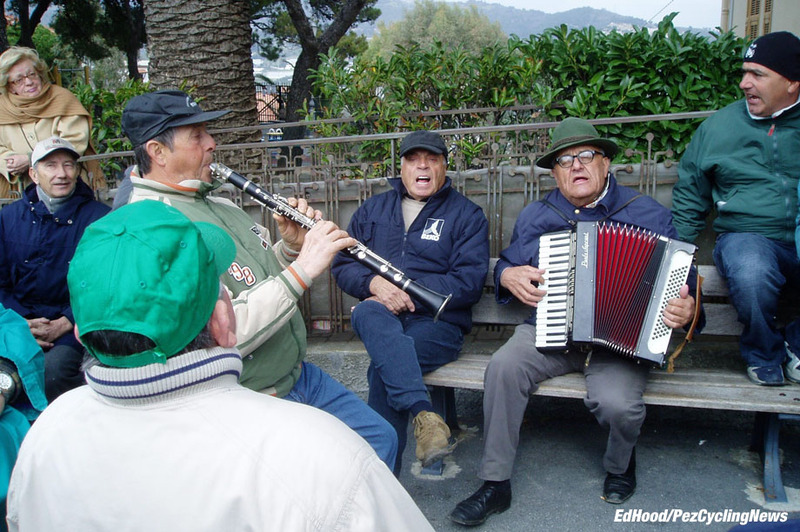 1982: Cipressa introduced into percorso to make it etc. . .
We’ve dodged the issue long enough, who’s gonna win? 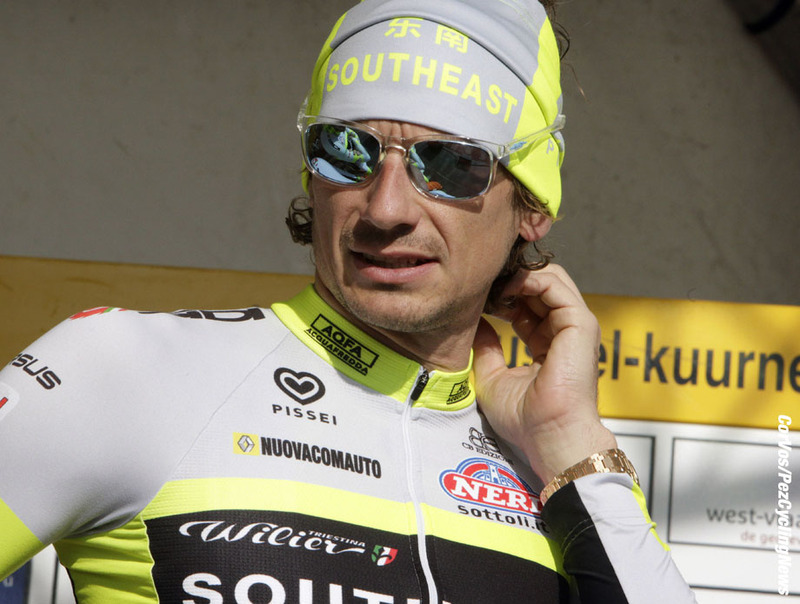 Four previous winners ride; two can do it again – Fabian Cancellara (Trek-Segafredo & Switzerland) and Alexander Kristoff (Katusha & Norway) and two can’t - Mark Cavendish (Dimension Data & GB) and Filippo Pozzato (Southeast & Italy) albeit ‘Pippo’ is the second most successful in terms of previous performances in the race with a win, a second, a fifth and a sixth – he also has the race's youngest rider as a teammate, Daniel Martinez (Colombia) at just 19. Michael Matthews (Orica-GreenEDGE & Australia): Milano-Sanremo 2015 was where Matthews made us all really sit up and take notice, grabbing third spot on the podium. His warm up for the 2016 Primavera was Paris-Nice where he won the prologue, a stage and held yellow until the parcours became just too scenic for him. 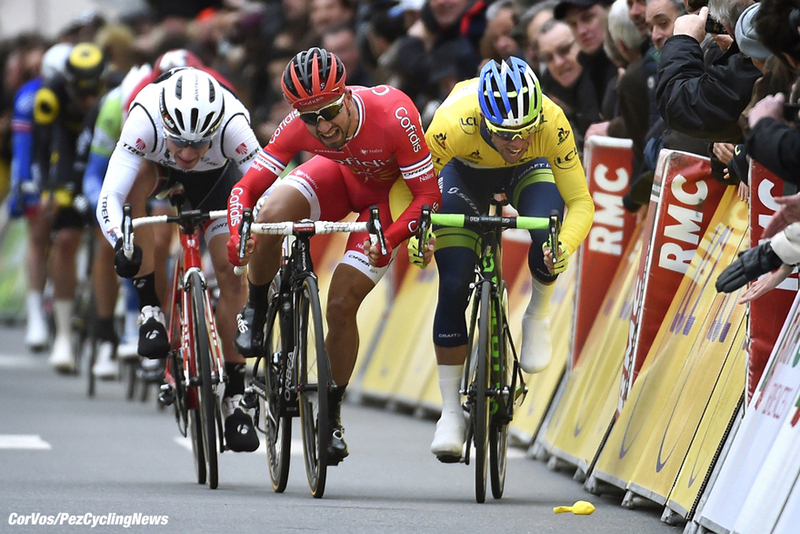 Nacer Bouhanni (Cofidis & France): The pugnacious little Frenchman was sixth in 2015 and with an excellent Paris-Nice – beating Greipel, Kristoff and Matthews to a stage win - behind him and his train looking good we might just see the first French winner since Laurent Jalabert 21 years ago. 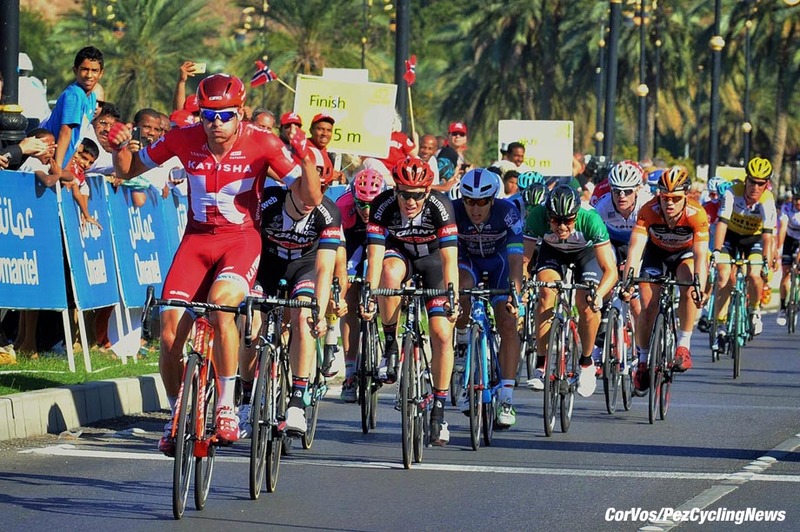 Alexander Kristoff (Katusha & Norway): The Norseman raised a lot of sand in the deserts of Qatar and Oman with six wins; maybe not so sharp since he returned to Europe but he’s as quick after 300K as he is after 200 clicks. 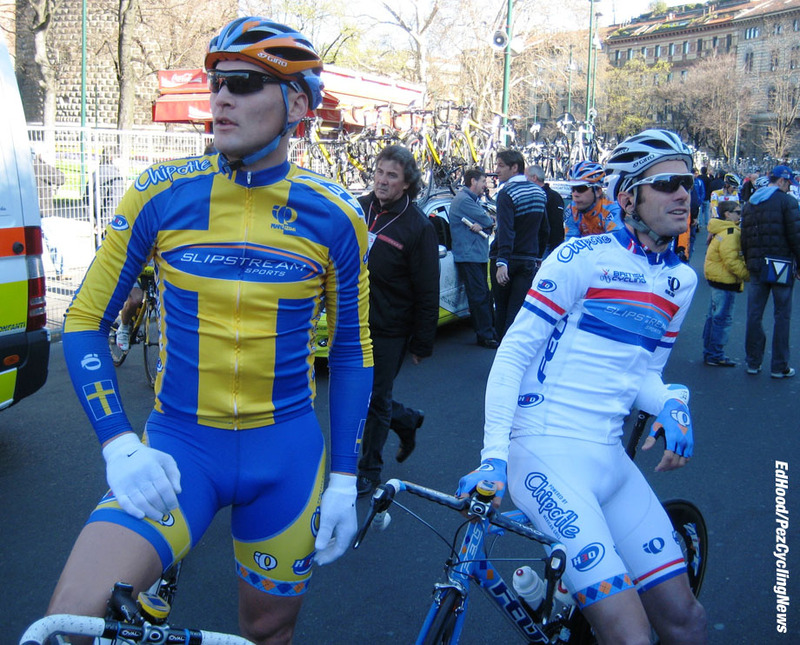 Second last year, he won two years ago, so he knows his way round the neighborhood – he’ll miss Paolini but we’re sure Michael Mørkøv will be there for him on the Cipressa and Poggio. And the bookies have him down as fave at 3/1. Peter Sagan (Tinkoff & Slovakia): Super strong, super consistent, fourth in 2015, second in 2013, the tougher it is, the more it will suit him. All those second places have to become a win, one day. . . 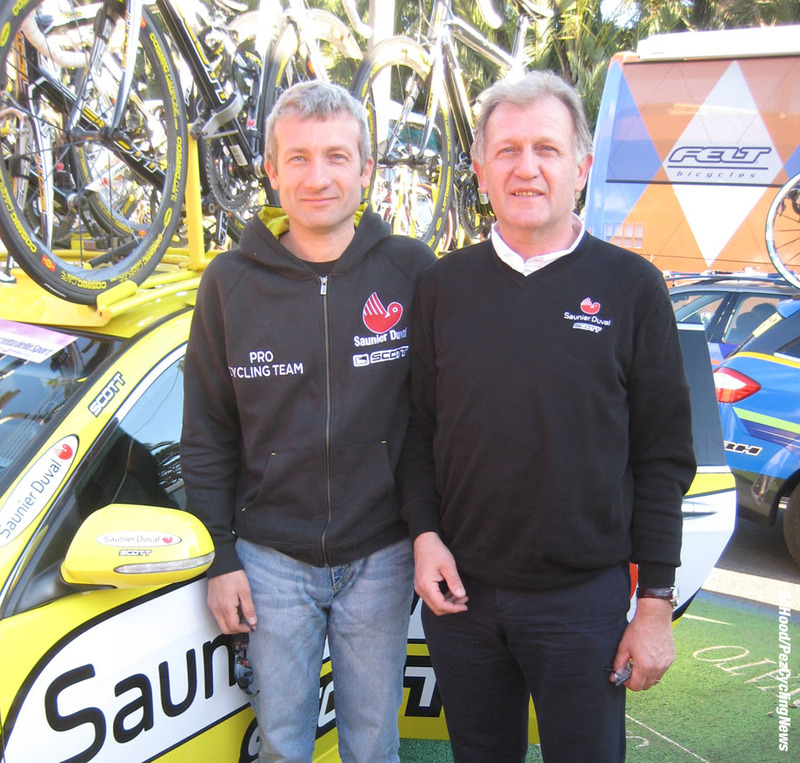 In team mate Tosatto he has a man who knows this race better than any; 16 starts, 16 finishes – respect. 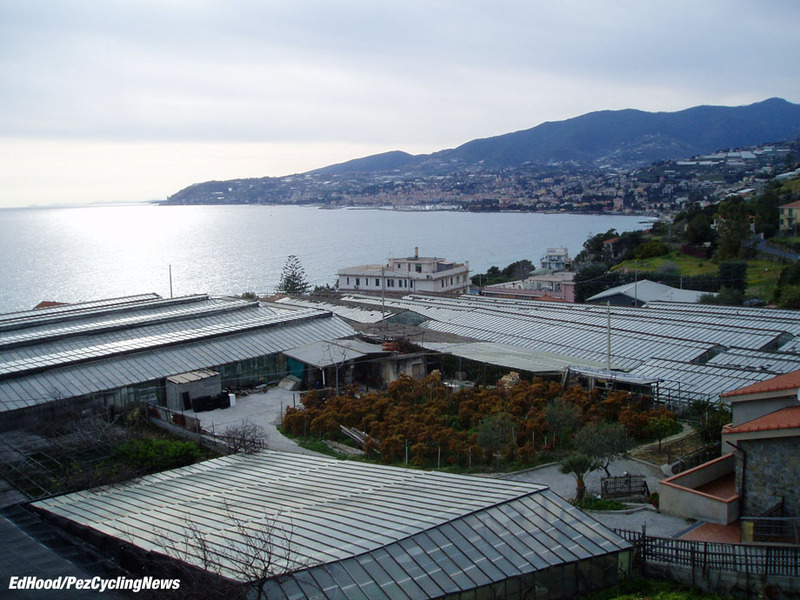 Will Sanremo see another battle between Sagan and Van Avermaet? 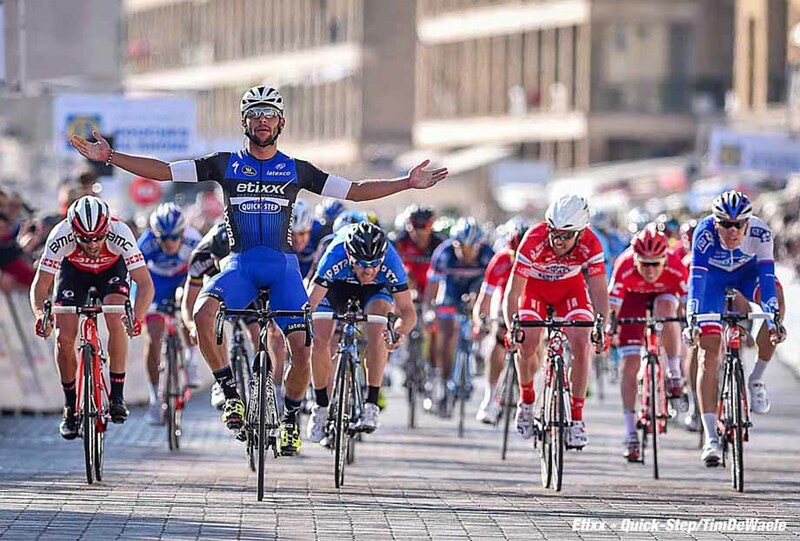 Fernando Gaviria (Etixx - Quick-Step & Colombia): We know, he’s young, it’s a long way, he’s been training for the track – but we also know he’s special. 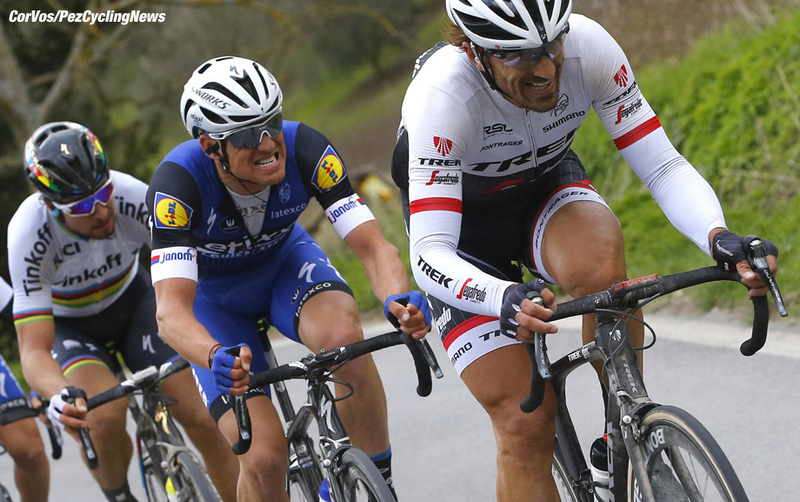 He has three wins already – San Luis, La Provence and Tirreno where he beat Viviani and Sagan. If the lami floor boys can get him to the Via Roma, very few will get round him. 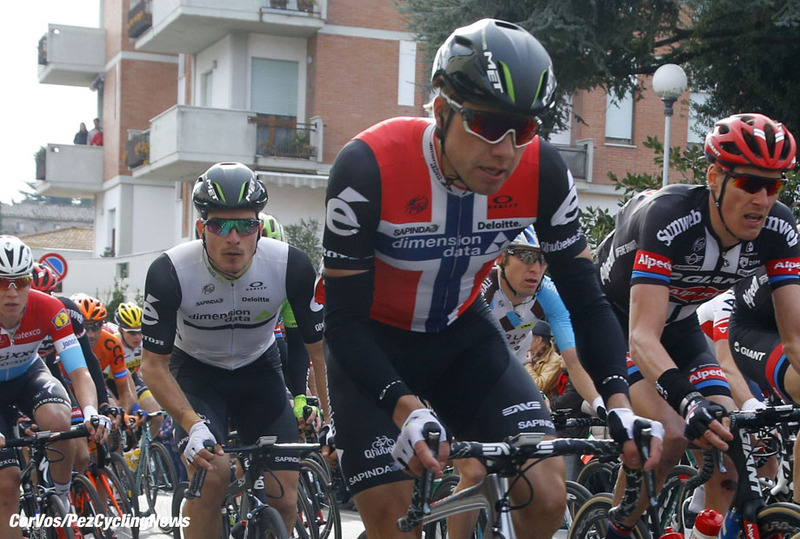 Edvald Boasson Hagen (Dimension Data & Norway): He was 10th last year, had a good desert campaign and looks sharp – here’s the ‘but’ his system doesn’t cope well with processing food over this kind of distances but his team has strong morale and they’ll do whatever it takes to give him his chance on the Via Roma. 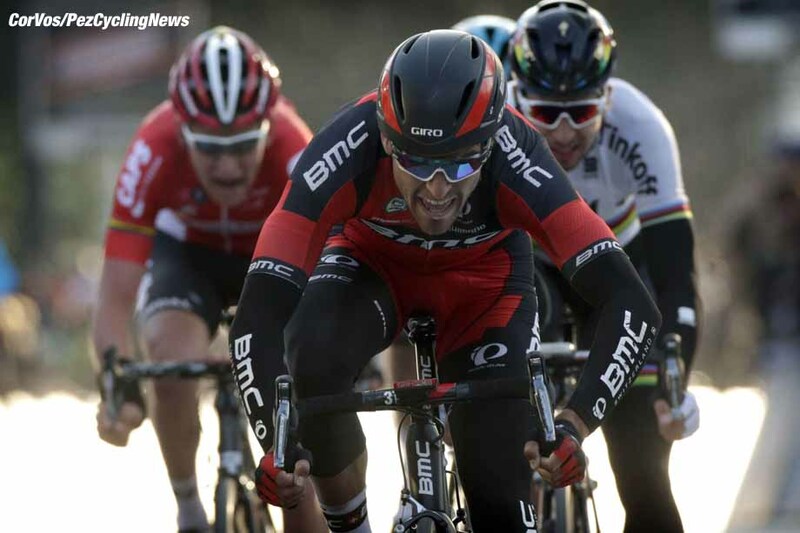 Greg Van Avermaet (BMC & Belgium): There’s no ‘eternal second’ monkey on this man’s back anymore; he took Het Nieuwsblad in fine style and on Tuesday became the first Belgian in 40 years to win Tirreno – Roger De Vlaeminck was the last in 1977. Is he robust enough for the Via Roma? – we’ll know late afternoon, Saturday. 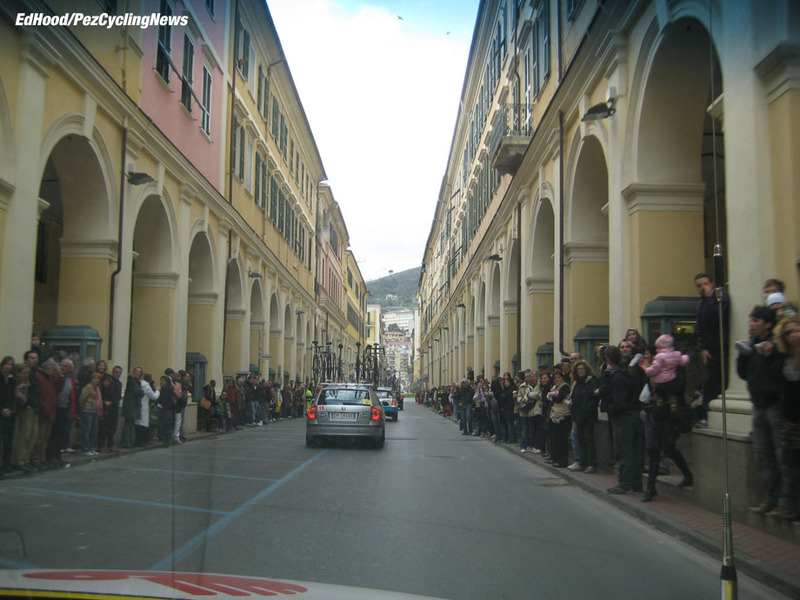 Does a win in Tirreno mean a win in Sanremo? Niccolo Bonifazio (Trek-Segafredo & Italy): He was fifth last year, top six in Kuurne and was right there in Paris-Nice when Bouhanni and Matthews were deploying Mutually Assured Destruction tactics. He’ll believe and a podium is possible. 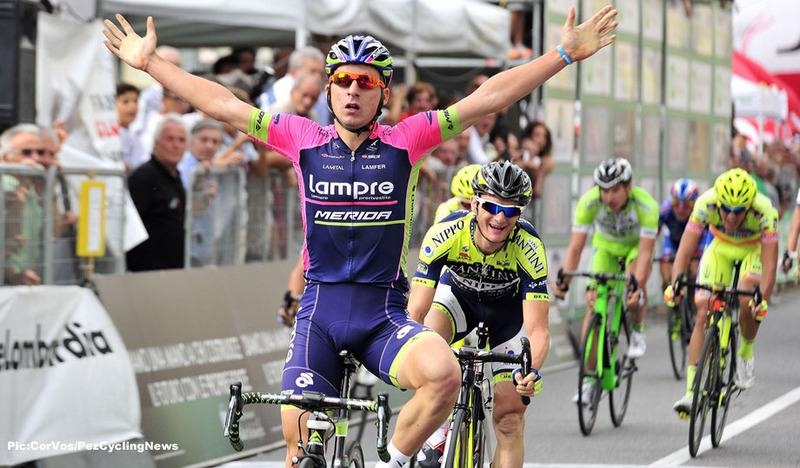 PEZ Milan-Sanremo race report on Saturday and rider quotes and video catch-up in EUROTRASH on Monday. Live action on Saturday via Steephill TV.